For friendly, affordable, and dependable service, you have come to the right place! 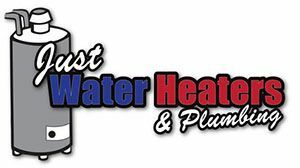 Just Water Heaters and Plumbing is a family owned and operated business with Matthew Montague on the front line. With over 10 years of professional plumbing and water heater experience, Matthew will make sure to get the job done right guaranteed! Our water heater started leaking and needed to be replaced immediately. Matthew did an awesome job, not only replacing the water heater, but also re-plumbing the relief pipe and bracing the water heater to make the system safer and more efficient. His work is professional and affordable and I would highly recommend him to anyone in need of a plumber. Thanks, Matthew! "Mathew did a great job. I needed a water heater and remembered seeing their company trucks running around town. didn't know he was a one man show. Mathew had my water heater changed the same day I called and corrected all the things done wrong by the previous plumber. he is down to earth and gets the job done right. thanks Mathew!" "Professional, honest, and affordable! I have known Matthew for a long time and I consider him one of my best friends. He has helped my parents countless times when other companies were overpriced. He has gone out of his way and came to aid in the middle of the night even. I have watched Matthew complain about..."
WANT TO LEARN MORE ABOUT JUST WATER HEATERS AND PLUMBING?